TAEBC’s latest e-newsletter is now available online! Read the e-news here. 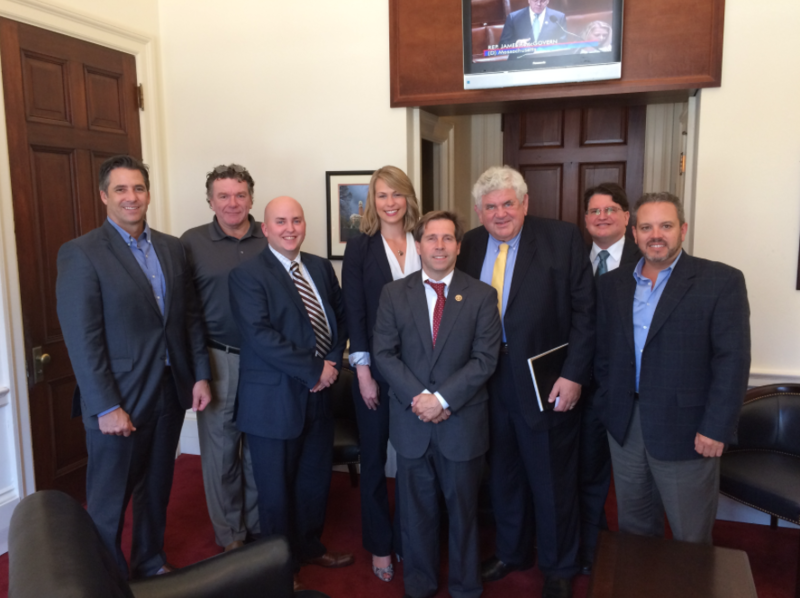 Members of the Tennessee Advanced Energy Business Council enjoyed a productive visit to Washington D.C. this week. Delegates attended the American Energy and Manufacturing Competitiveness Summit, where Tennessee took center stage. Assistant Secretary Danielson announced two efforts— a national laboratory-industry collaboration pilot and a competitive solicitation to leverage national labs’ high-performance computing capabilities—to strengthen U.S. clean energy manufacturing competitiveness. TAEBC Charter member Oak Ridge National Lab is involved in both announcements. TAEBC also met with representatives from the Appalachian Regional Commission and the Department of Energy. Finally, we stopped by Senator Alexander and Congressman Fleischmann’s office to brief them on the Tennessee Advanced Energy Economic Impact Report. More information about our trip coming soon! Posted in General News	| Tagged: American Energy and Manufacturing Competitiveness Summit, Appalachian Regional Commission, Assistant Secretary Danielson, Congressman Fleischmann, Department of Energy, national laboratory, Oak Ridge National Lab, Senator Alexander, tennessee, Tennessee Advanced Energy Business Council, Tennessee Advanced Energy Economic Impact Report, U.S. clean energy manufacturing competitiveness, Washington D.C.
On June 17, the Tennessee Advanced Energy Business Council released the Tennessee Advanced Energy Economic Impact Report, the first document of its kind that defines the scope and scale of Tennessee’s advanced energy sector and quantifies its economic impact. 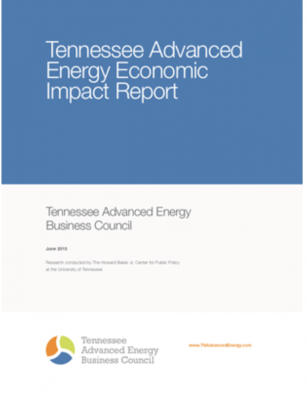 The report received statewide media coverage and recognition of advanced energy as an economic driver for Tennessee and a source of high quality jobs. It was distributed to more than 200 local, state and national economic development stakeholders. Here’s a snapshot of the media coverage from the report release, with links to the full stories. Enjoy!